Ajith was seen with his near and dear ones at a wedding reception. It is no secret that the much-loved Ajith Kumar is one of the most popular and sought after actors in Tamil cinema today. During his highly successful career, this 45-year-old star has become the darling of movie buffs thanks to his soft-spoken nature, stylish personality and sincere performances. Moreover, he has delivered quite a few commercially successful films and proved that he is success personified. Now, Ajith is in the news for a wonderful reason. 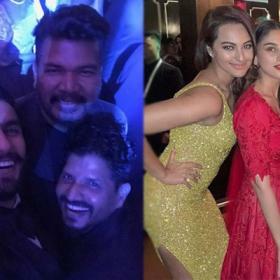 As it so happens, some photos of the star at a wedding reception are going viral and sending his well-wishers into a state of frenzy. In them, he can be seen posing for some photos with some relatives/family members. 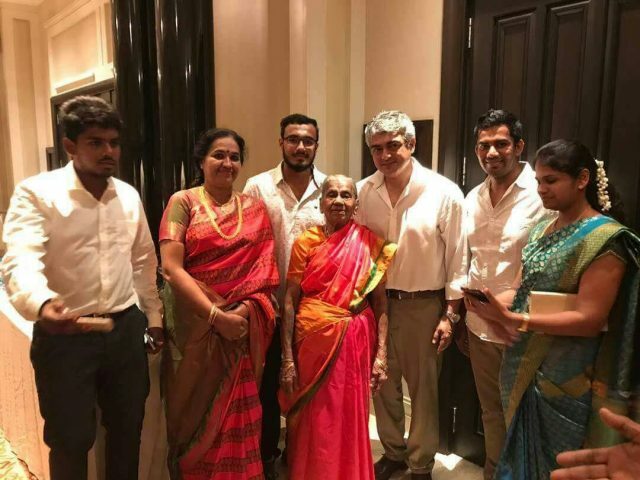 Needless to say, Thala looks quite happy in these pics and seems to be enjoying the company of his dear ones. 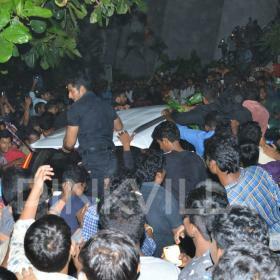 We are sure that Ajith’s presence must have created quite a buzz amongst those in attendance. On a related note, this is a busy time for Ajith. He is currently gearing up for the release of ‘Vivegam’. Touted to be a spy-thriller, it has been directed by Siva and features Ajith in a new avatar. The film has already created quite a buzz amongst fans because of its gripping teaser. Besides Thala, ‘Vivegam’ also features Kajal Aggarwal and Akshara Haasan in the lead. Bollywood actor Vivek Oberoi too is a part of the film. He will be playing the antagonist in this one. Interestingly, ‘Vivegam’ will be Ajith’s first release of 2017. He was last seen in the 2015 release ‘Vedalam’ which fared well at the ticket window.